These special Atomic Redster Skifix straps are wide and heavy-duty for racing skis – holding them together while protecting edges and base. 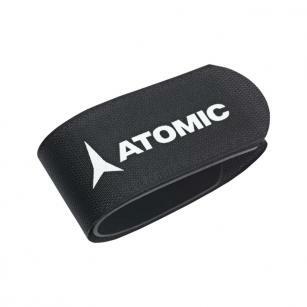 This Atomic Redster Skifix strap uses a strong Velcro strap to hold your skis together firmly. There is a thick attached Rubber wedge which seperates the skis to prevent damage. You'll only need one for a pair of skis with effective brakes.